(KZN.RU, April 15, Ksenia Shvetsova). This year, it is planned to place 53 objects of non-stationary trade in 15 Kazan parks and squares. Another 261 places for seasonal trade are allocated in different parts of the city. 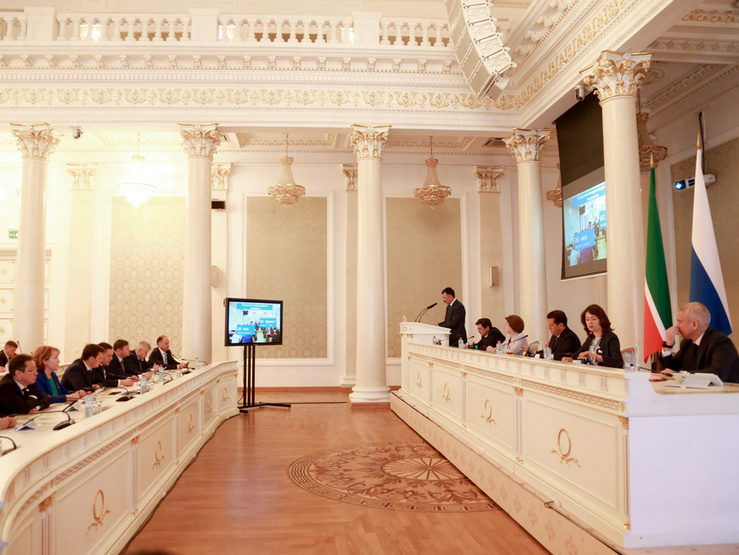 Ilsur Metshin, the Mayor of Kazan, today, on a business Monday, instructed to uniform and order all non-stationary trading facilities and enhance the customer service culture. Marat Zakirov, the director of MBU “Directorate of Parks and Squares”, told about the results of the first auctions for placing non-stationary trading facilities in parks and squares for the upcoming season. He noted that today 25 lots have already been traded in the capital of Tatarstan. Entrepreneurs began work in all the objects that are being auctioned and will go to parks in early May. For the first time, entrepreneurs who won the auction will be able to place their objects in the public spaces of the city for 2 summer seasons in a row. This practice was introduced at the request of Kazan entrepreneurs. The total price of the lots drawn during the auction increased more than 3 times from 1 million 310 thousand rubles to almost 4.5 million rubles. Funds from the tenders are planned to be spent on the development of public spaces. Today, 7 auctions will take place, and the remaining 12 will be held until May 13. Submission of applications for them will continue until May 6. These auctions will concern the parks “Komsomolets”, “Sosnovaya Roscha”, “Kontinent”, “Krylya Sovetov”, Pobedy Park, Boulevards “Belye Tsvety” and “Festivalny”. “According to the preliminary results of the auctions already held, we can see that the trading market in parks and squares is stabilizing, system players are emerging. We aim to continue creating comfortable conditions for our partners. It will have a positive effect on their activities and on our work in parks and squares”, said the speaker. He urged Kazan entrepreneurs to participate in the auction. Bidding on the objects of seasonal trade in the city will be completed in April. The start of seasonal trade will traditionally begin on May 1. All objects of non-stationary trade should be located in Kazan according to a single standard and meet the requirements, both in appearance and in the level of service, noted Ilsur Metshin, the Mayor of Kazan. “I ask to gather all trade participants of the city. If someone speaks Russian poorly, bring along translators. But there should be dialog!” said the Mayor. “I don’t want yesterday's “kolkhoz” (Rus. “collective farm”) when they were selling melons from boxes in the city. There should be a single standard. We do not ask to make marble or granite pavilions, but everything should be neat and civilized, including the uniform. Let's do everything worthy of Kazan, the capital of Tatarstan”. The head of the city also reminded that this year Kazan is hosting a major international event – the WorldSkills Kazan 2019. He marked that by this time it is necessary to bring order to the city in the sphere of non-stationary trade. “New people will come to us, this is a reason to improve the urban infrastructure. I asked you to pay attention to this, demanded, and I will ask to show the results of this work”, concluded the Mayor.